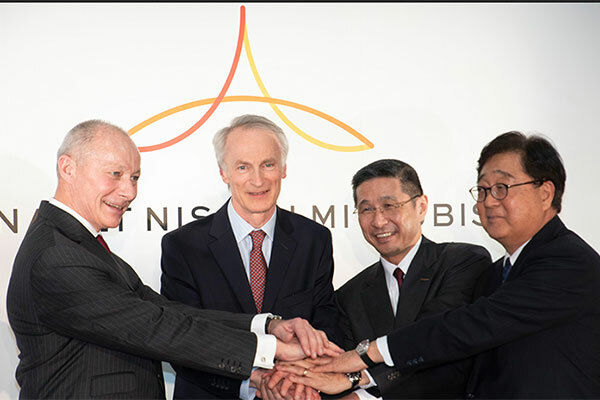 Nissan, Renault and Mitsubishi Motors have announced plans to create a new Alliance operating board drive the operational cooperation and look for new ways to generate value for its respective shareholders and employees. The new Alliance Board will be the sole body overseeing the operations and governance in the Alliance among Renault, Nissan and Mitsubishi, in lieu of RNBV and NMBV. As such, it will be the face and primary driver of the Alliance’s “New Start”. To lay the foundations of the new development stage of the Alliance, the new board will be composed of Jean-Dominique Senard, chairman of Renault, who will also act as chairman of the new Alliance operating board, and Hiroto Saikawa, CEO of Nissan, Thierry Bollore, CEO of Renault and Osamu Masuko, CEO of Mitsubishi Motors; the operating decisions taken by the Alliance Board will be consensus-based, furthering the Alliance’s “win-win” approach. The definitive agreements will be signed in conjunction with the anniversary of the Alliance. The new board intends to meet every month in Paris or Tokyo and will regularly update stakeholders on its key value initiatives and achievements. The Alliance operating board will ask for the creation of specific projects to make recommendations for and drive the execution of new ways to create incremental value of the three auto companies. As the 20th anniversary of the Alliance approaches, the boards of Nissan, Renault and Mitsubishi Motors would like to recognize the strong contribution the Alliance has made to the performance of all three companies, and their partners. The creation of the new Alliance operating board is designed to help Nissan, Renault and Mitsubishi Motors become what they can be together – the top organization in the rapidly changing and highly competitive global auto market. Through the commitment and loyalty of the employees of Nissan, Renault and Mitsubishi Motors, and a highly constructive cooperation with Daimler, the Alliance operating board will look to continue delivering total win-win for all those involved.